This module has power-down stored function and can store 10 groups preset value. And it also has the function of extracting quickly two groups stored value. 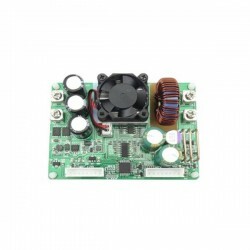 Compared with the traditional analog power supply, it is more convenient to quickly extract the voltage or current required. 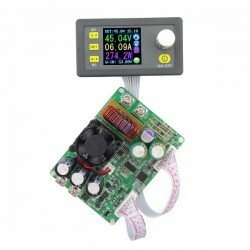 LCD display on the module has the function digital voltmeter and ammeter. 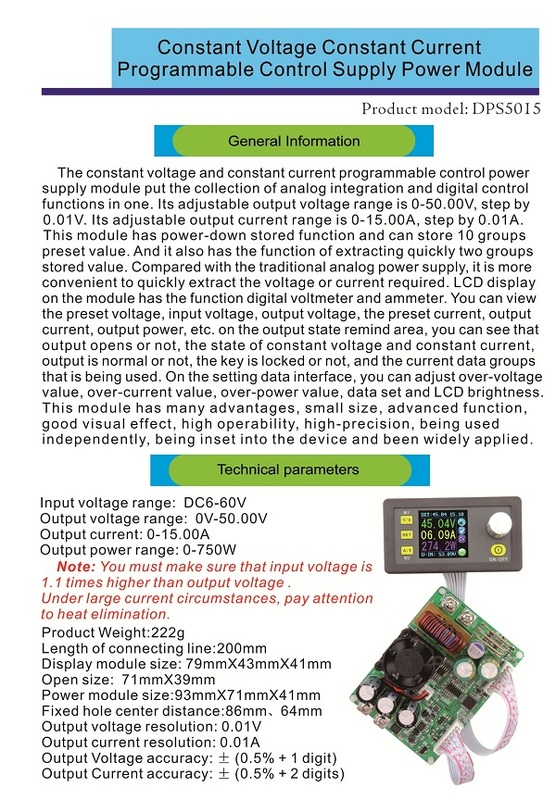 Also you can view the preset voltage, input voltage, output voltage, the preset current, output current, output power etc. 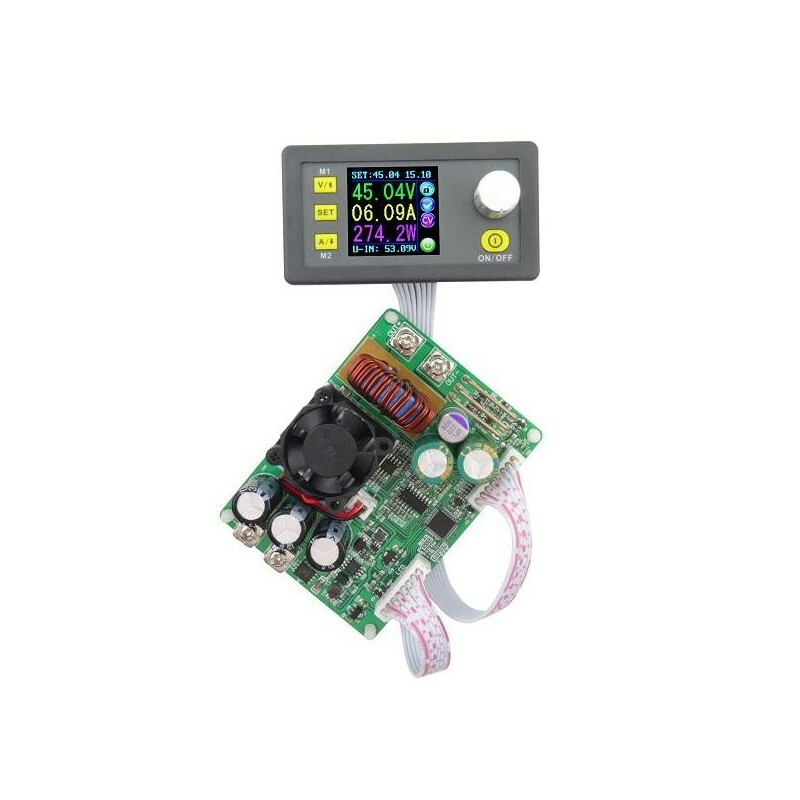 On the setting data interface, you can adjust overvoltage value, overcurrent value, over-power value, data set and LCD brightness. This module has many advantages, such as good visual effect, high operability, high-precision and being inset into the device and been widely applied. 2. DPS5005 and DP50V5A can charge the battery directly, don't need diode. When charging battery, don’t connect battery polarity reversely, otherwise, power parts will bunt. 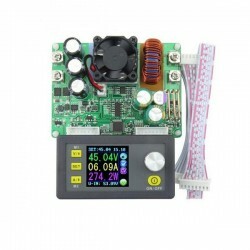 3, DP power supply and DPS power supply are all buck (step-down) converter. But DPH3205 is buck-boost (step-down and step-up )converter. 1. You must make sure that the input voltage is 1.1 times higher than output voltage. Under large current circumstances, pay attention to heat elimination. 2. Connection between display part and power part should be according to the corresponding words. Otherwise it will not work by wrong connection.